WWE has announced three big matches for the next episode of SmackDown. One of the three outlined matches is a tag team match and two singles matches. 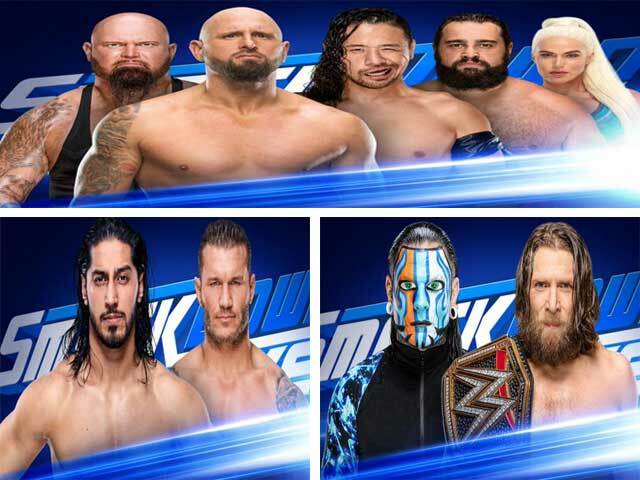 In the Elimination Chamber Paper View, WWE Champion Daniel Brian will defend his title against five superstars, but before that Brian will face Jeff Hardy in SmackDown this week in a non-title match. Last week, Randy Orton in the SmackDownn had insulted Mustafa Ali and said that he was eliminated by a middleman in the Royal Rumble match. Now this week, both of these superstar singles will compete in the SmackDown game. Both are also part of the WWE Championship match in the Superstars Elimination Chamber. This week, in SmackDown, two old enemies, Rusev and Shishu's Nakamura team will face Carl Anderson and Look Gallowues. In the last week's episode, Anderson and Luc challenged Rousseau and Shishu in a backstage segment which Nakamura had accepted.